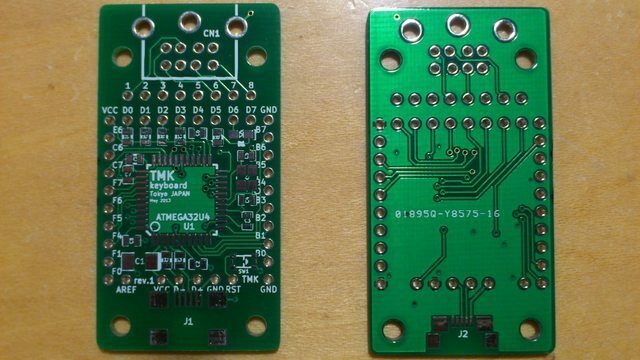 TMK converters translate various old keyboard protocol into USB so that you can use the keyobard with modern computer. 2018/04/27 Added keymap editor support for IBM4704 50-key. To place an order email me to let me know which converter you want and your email address. I'll send you Paypal invoice soon. 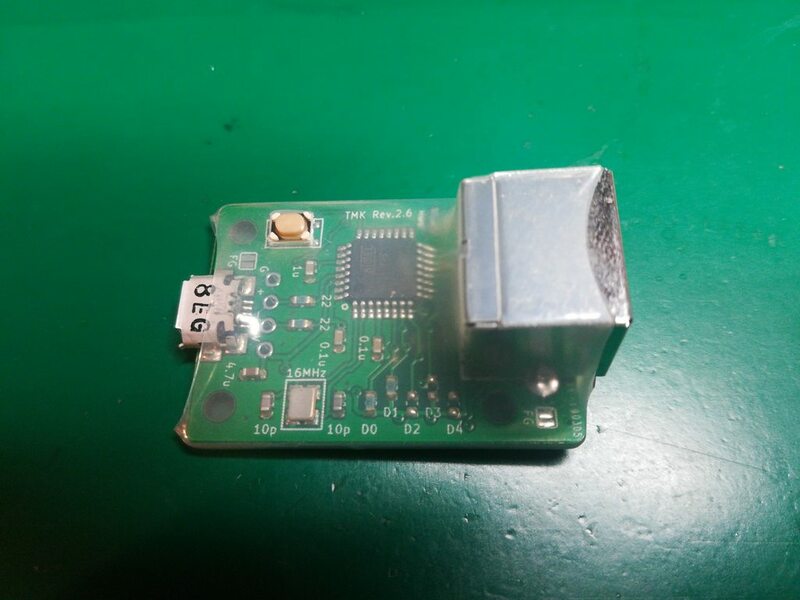 USB-USB converter is out of stock temporarily at this time, lead time for assembly and shipping will be 2-3 weeks, email me if you don't mind paying before and wait. If you are located in north america 1upkeyboards.com(NY, US) may be quicker option, they have no stock at this time as well but will restock the controllers until mid March or earlier. You can get exact same product from them. Check their site for purchase. This is shipped via air registered mail from Tokyo, Japan and takes usually 7-20 days for most countries. The converters will be shipped usually in several working days and you will receive email with tracking number from Japan Post. Check junk mail folder of your email used for the payment first if you can't find the email from Japan Post. Email me if you don't get tracking number within 10 working days after payment. You can edit keymap on TMK Keymap Editor with web browser. Chrome is recommended web browser. Current converters(rev.2) use ATMega32u2(while rev.1 used ATMega32u4). You will have to select microcontroller in flash tool like Atmel FLIP or dfu-programmer. To turn into flash mode press tiny button on converter PCB. These coverters are equivalent in terms of hardware except for Mini-DIN connector. Its dimension is around 27mm * 41mm and height is 18mm including Mini-DIN connector. 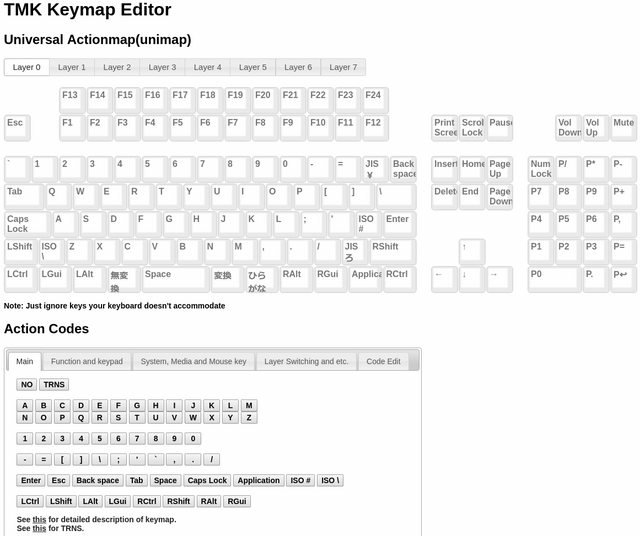 TMK keymap editor is available. Currently not available from me. 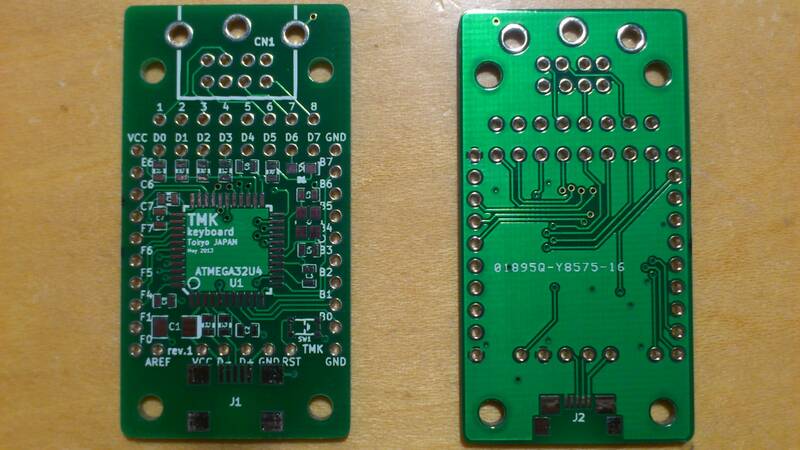 This doesn't convert protocol in fact but you can change keymap and add functions TMK firmware offers to USB keyboard. And SpaceFn layout is available just for example. 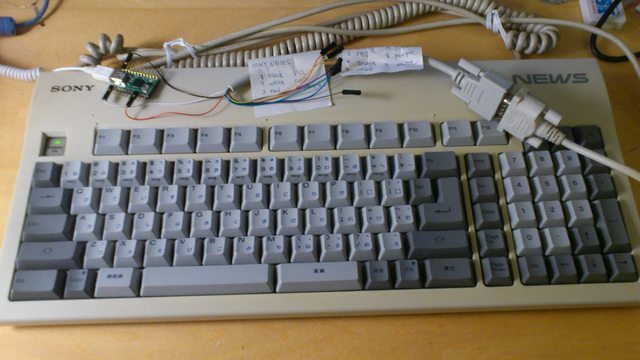 This supports Macintosh 128K/512K keyboard(M0110), keypad(M0120) and Mac Plus keyboard(M0110A). Dimensions of the converter is around 27mm*59mm*16mm excluding cable. You can hook up M0110 and M0120 to the converter at same time. 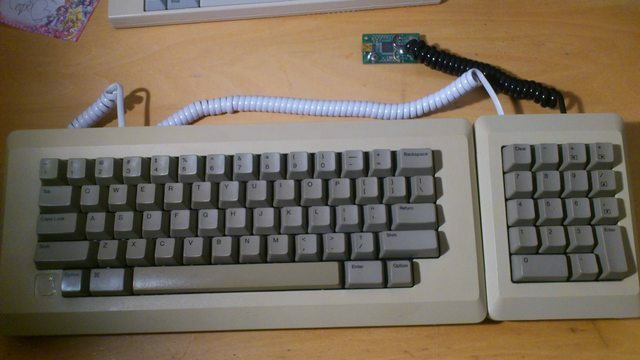 Note that you have to use original Apple keyobard cable to connect between the two keyboards. Converter for all of IBM4704 variants(50, 62, 77, 107-key) as well as 102-key Alps switch models(Pingmaster). Its dimension is around 32mm*64mm*18mm. TMK keymap editor is not available yet. Converter firmware source codes are available. Converter PCB design files are available, you can make it yourself. Not available anymore, but TMK firmware still supports these converters. If you are one of these and have trouble with them contact me, I can help you. I ordered five MAX3421e chips at an Aliexpress shop for USB-USB converter, it will take several weeks to come up to me. After got those chips I'll assemble the converters and decide its price. Can we reserve a spot for the USB-USB converter? Yes, just post here or PM me. I have to decide the price later due to final cost calc, but you can cancel it if you don't like the final price. The price will be around 40-50USD, probably. I have a leopold keypad that doesn't send true numpad scan codes, I'm thinking I could theoretically fix that with your converter yes? If it is a normal keyboard without fancy functions like NKRO it works with this converter. I ended up just wanting to do an internal solutuon, so I am buying a teensy. Thanks anyway! I want some sort of PS2 to USB for my original Dolch board. I'd like to make it small and internal. I think USB-USB controller will cost around $50 and $8 for shipping, not final price though. 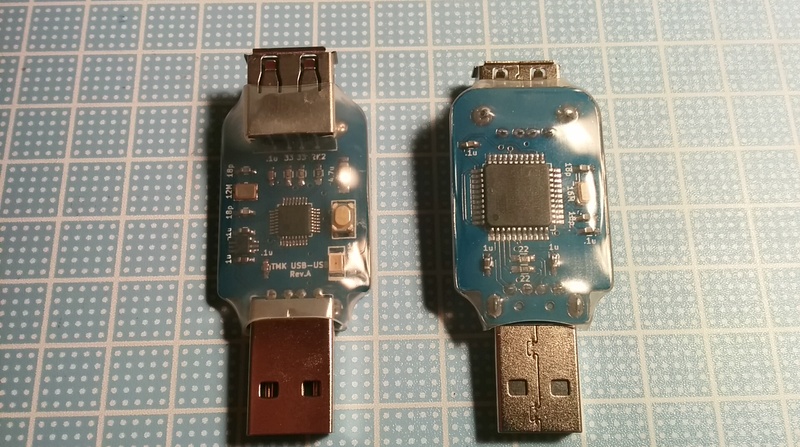 I ordered USB host chips from China but not receive them yet, it will take more a week or two. After getting the chips my production process will take a week. BTW, Kinesis has another viable option to think about, this controller replaces Kinesis original MCU and allows to upload custom firmware. If you still want my converter for some reason I'm happy to sell my converter definitely. I can assemble the converter without USB or/and PS/2 connector if it is useful when you install it inside the case. It costs $25 + $7 for shipping. Do you think it would work with a Poker II? I don't really know what a keyboard "with fancy functions" means Would there be a way to check this somehow? The Poker II is not PS/2 compatible so I can't use your USB<>PS/2 converter on it... but it would be perfect if your new USB<>USB converter worked! Poker II uses NKRO mode I don't think USB to USB conveter works with it at this moment. But I believe firmware can force it to work in 6KRO mode with future update. What I meant by "fancy functions" are NKRO, media control keys and system control keys. The converter doesn't recognize those keys. Some USB to USB converter are available now. Price is 50USD per converter and 7USD for shipping. Check its limitations and TODO in first post of this thread. And feel free to ask anything if you are interested. Thanks I guess I'll wait… for now! Interested in a usb-usb converter. Primarily interested in using it with RF87 on OSX. There's an issue with he keyboard where if I wake the computer from the keyboard, keyboard doesn't register after that. Any chance someone tried it with an RF? Can you tell what keyboards are you going to use with the converters? I'd like to buy one PS/2-to-USB and one USB-to-USB converter. Thanks, I'll PM(Personal Messages) you once they are ready! I'll do soldering job this weekend. How much would be a PS2 to USB converter? I might be blind but I can't find the information. Hasu put me down for a USB to USB converter. Thanks! Did you guys know hasu is really helpful and does amazing work on his awesome firmware? I can't explain everything in detail here. You have to read TMK documentations first and the docs won't be enough, you can use google to get further detail. and read converter's README of course. And optionally also check Wiki. It may take long unless you have experience with AVR, but take time to learn if needed. EDIT: Also check the first post of this thread. My NeXT keyboard is alive! My board (Part no. 192.00) has the ANSI layout, where the layout in TMK is ISO. I'm noticing a few weird things (keypad layout is different, "Alternate" key doesn't register at all) so I'm going to break out the debugger and see how things are different. It's likely I'll have a push request for you. One side question: I read the schematic and I thought I installed my LED with the correct polarity, however nothing is lighting up. Should the LED light up on boot or does it only light up for certain events? Some use it as CapsLock indicator or debug, others don't use at all. Next converter doesn't use so you can use it for anything you want. Two USB to USB converts are in stock now. 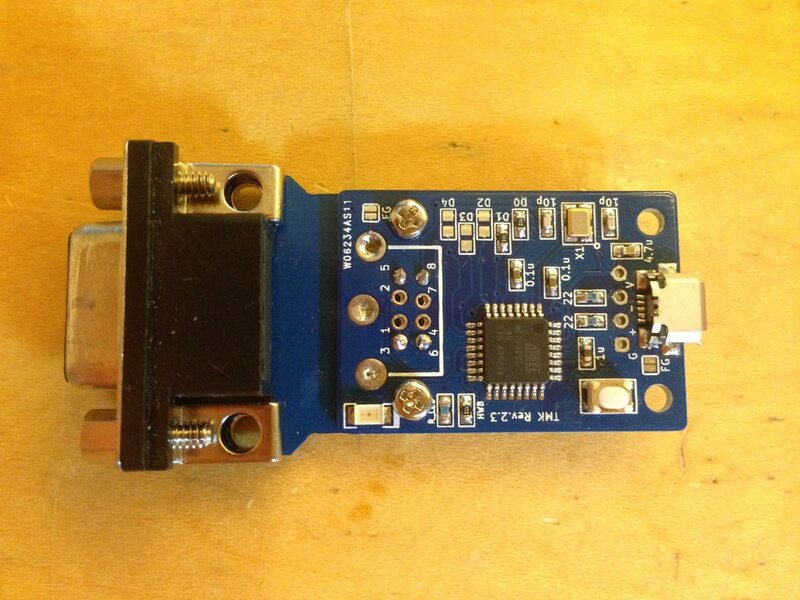 Some USB-USB converters are available again now. USB to USB converter supports TMK keymap editor now! 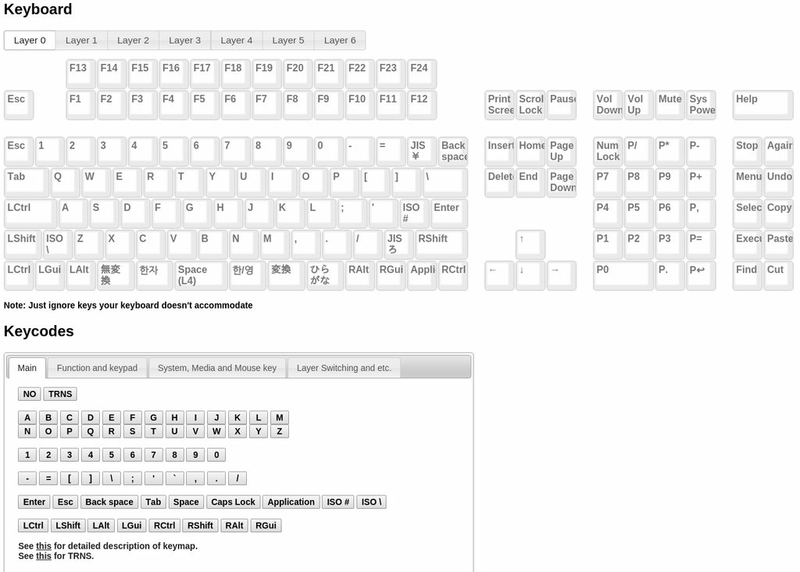 And Space Fn keymap, for example. Hi, the usb to usb converter seems great. How much would it cost to send one in Europe (French) ? 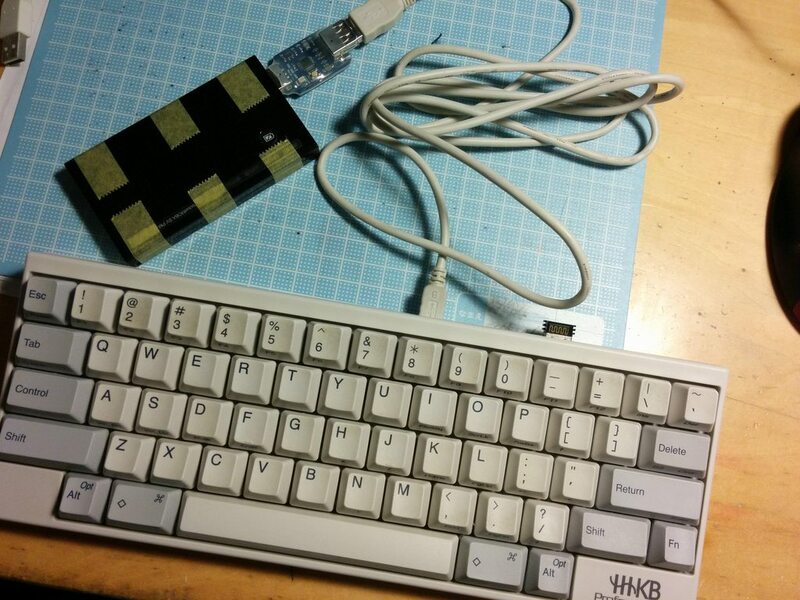 Do you have any plans at any point to do a Bluetooth version like you did for the HHKB? Same rate for all surface of the globe. 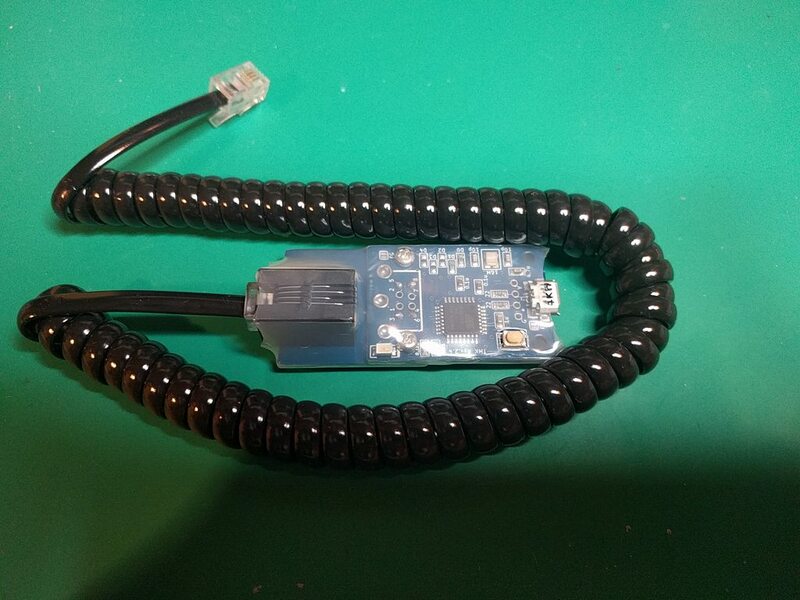 I've had a plan kind of that, you can connect both keyboard and Bluetooth dongle to the converter via USB hub at same time in theory, and you can give it power supply and Lipo charger(from sparkfun or adafruit? or just use power bank in the market) to make them wireless. USB Host Shield libaray already supports Bluetooth dongle and HID luckily. My concern is MCU flash size, TMK has bloated its size now I'm not sure the code fits in 32KB. I don't a plan to design new hardware but USB-BT conversion is possible with this USB-USB converter + BT dongle + USB hub + power bank, I think. Too big and clumsy? Would the USB converter make my Realforce programmable? yes, you can change keymap. That would be awesome to have one that was less clunky. So far, the only things I've seen are this USB2BT and what you have. If I wanted, I could use your USB to USB with a Bluetooth dongle, battery, and hub on any 60% board? Or does it only have to be with specific boards? Yes, you could do with existent TMK USB-USB converter, no specific hardware is needed for this, just firmware development is required. If keyboard has hub like HHKB Pro2 you can plug dongle in it, it would look like this. The firmware development would be for the bluetooth, correct, not the keymap, correct? the library seems to support only bluetooth HID host role, but we need device role and will have to make it. Is it possible to use it directly with Mini-DIN type Converter ? No, you can't use it directly because that pinout is not PS/2. Okay, thank you for answer. 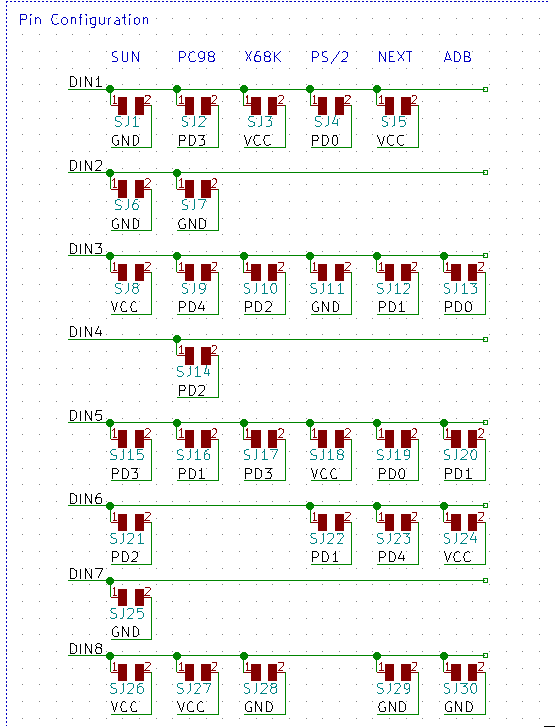 How about PCB rev2.1 - can it be used for this pinout? Assuming pinout diagram above displays female connector(socket), any of pin configuration jumpers on the PCB can not give GND connection to pin5 in the diagram unfortunately. 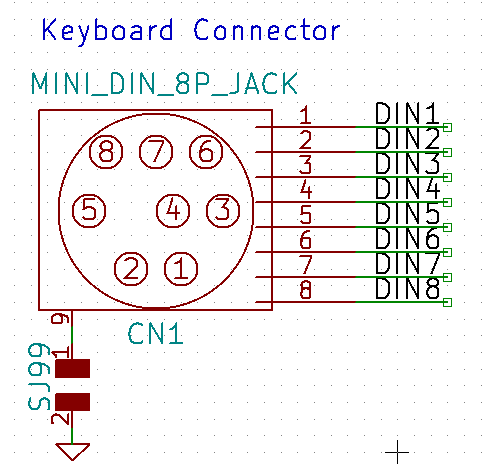 My converter PCB's pin configuration jumpers looks like pics below. In case of Mini DIN6P connector DIN1, DIN2, DIN3, DIN5, DIN6 and DIN8 are wired to each connector pins. Pin5(DIN6) has no jumper for GND connection as you can see. Other pins can be connected with jumpers(for Next) somehow. I'm on the road and away from home unexpectedly, shipping for some of orders will be delayed until Monday. And I cannot check and reply to inquiry mails until then.